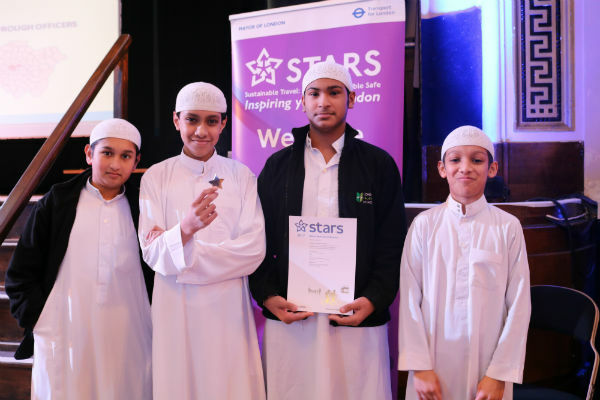 London Islamic School has been awarded the Transport for London (TfL) STARS ‘School of excellence pupil led project award 2017’ in a prestigious event held at the City Hall Chambers on Tuesday the 5th December 2017. Handing them the award in place of Mayor of London Sadiq Khan was Clare Mulholland (Schools and Young People Programme Manager at TfL) and Dr. Will Norman (Walking and Cycling Commissioner at City Hall & TfL) in the presence of other schools around London. The event celebrates the achievements of the highest performing schools of more than 1,500 participating London schools, in reducing car use, increasing walking and cycling and using public transport by awarding a Bronze, Silver or Gold accreditation as part of TfL STARS (Sustainable Travel: Active, Responsible, Safe) programme. The programme helps primary and secondary school children adopt safe and sustainable ways of travelling, such as cycling, walking and public transport. Now in its eleventh year, accreditation to STARS has grown from 180 schools in 2006 to over 1,557 in 2017. The more initiatives a school delivers and the greater the changes in behaviour, the higher the STARS Accreditation award. 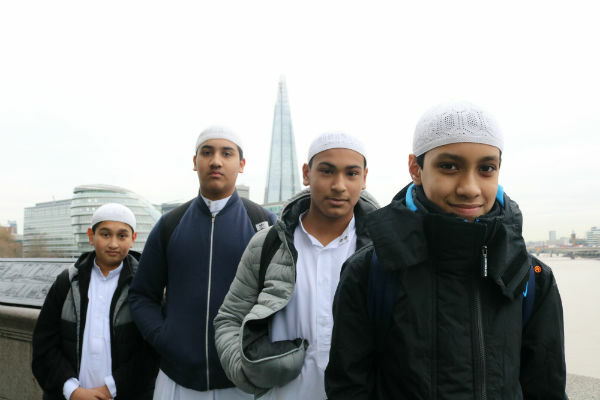 London Islamic School not only achieved a silver accreditation, they were also highlighted as one of the top performing schools in London by receiving the ‘Schools of excellence awards’ which recognises schools that have demonstrated innovative and outstanding achievements in one of seven travel areas: walking, scootering, cycling, road safety, public transport, pupil led projects and partnership working. 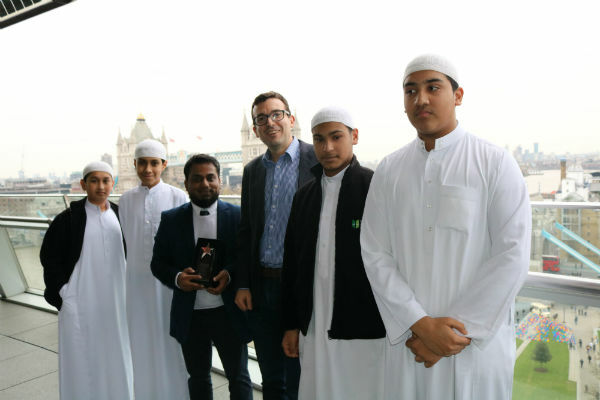 London Islamic School were awarded the award under the category of pupil led projects which are those campaigns that have been initiated and delivered by pupils, demonstrating the best in peer-to-peer leadership. 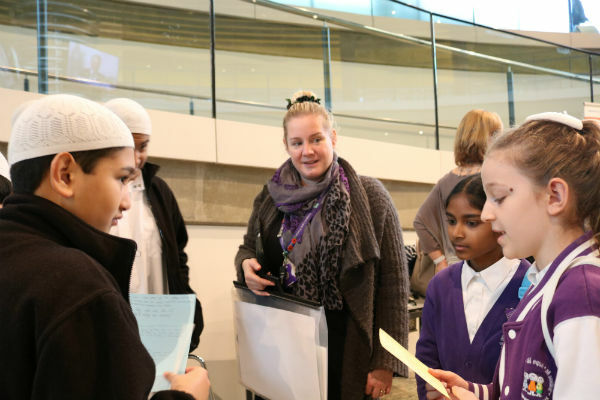 To share good practice, the students were also given the honour of delivering a presentation in front of a packed crowd on the activities they had initiated at school to promote active and safe travel. The school has been working extremely hard over the last two academic years under the leadership of Mohammed Yaser, Head of Citizenship who initiated the set up of the Youth Travel Ambassadors (YTA) team comprised of students: Hanif Hussain (Team Leader), Yamin Yusuf (Assistant Team Leader), Mizanur Rahman (Project Manager), Musab Dayah Ali (Finance/Marketing), Waseem Nawaz and Abdul-Muhsin Muadth (Data Analysts). They have worked tirelessly to plan and deliver consultations and travel activities to promote sustainable travel, reduce congestion, improve road safety and air quality. Examples of initiatives included interval mode of travel surveys’ with statistical analysis to track progress, car share scheme where the team had to do their research on which students came from the same area and paired them to car share. 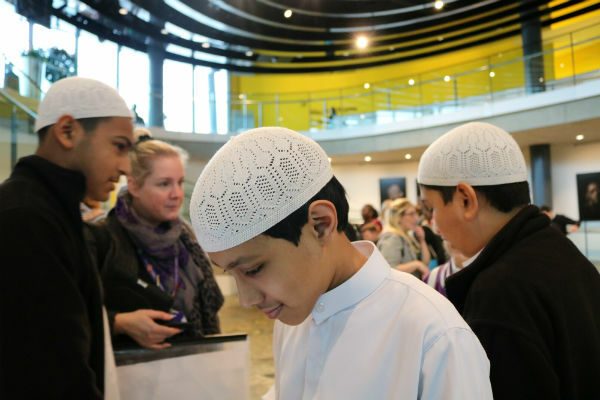 Whole school assemblies delivered by the YTA team on campaign launches and workshops delivered by the YTA team in partnership with Tfl and MADE on topics such as safety using public transport, road safety and Islam & environment. The students also set up an active travel week which consisted of giving pedometers to registered members, travel tracking cards to those who cycled or got of a few stops earlier to walk, a breakfast club for the participants who arrived to school early, data analysis on their improvements and finally certificates issued to students who completed the programme for the week. The YTA were also able to obtain funding by attending a Dragons Den pitch at the Tfl Head Office to enable them to organise a coffee morning, active walk and active fun day for parents, students, the local community and the school’s citizenship partners to promote the work they have been doing as Youth Travel Ambassadors and increase awareness on reducing congestion, improving road safety and health and wellbeing. The day commenced with a coffee morning and presentations by the YTA team in front of guests on ‘#Energy and Safety: Our Priority’, which focuses on ways to improve the modes of travel of students at LIS. Parents needed to make pledges to make their children to be more active sustainable travellers and to use public transport. This was then followed by an ‘Active Walk’ to Stepney Green Park where the students had organised various active events including a fast walk 4 by 1 relay, 3 legged race, obstacle course, 5 min football, croquet and other garden games with medals and awards being handed out. The event was attended by representatives from the school’s citizenship partners WE Schools, Transport for London, Tower Hamlets Prevent Officer, Nelson St Synagogue (East London Synagogue), MADE, Nida Trust, Creative Support Care Homes Tower Hamlets Cooper’s Court, Bow Baptist Church amongst many.